BD Games the fine folks that created the kid friendly, rules light Yarr! 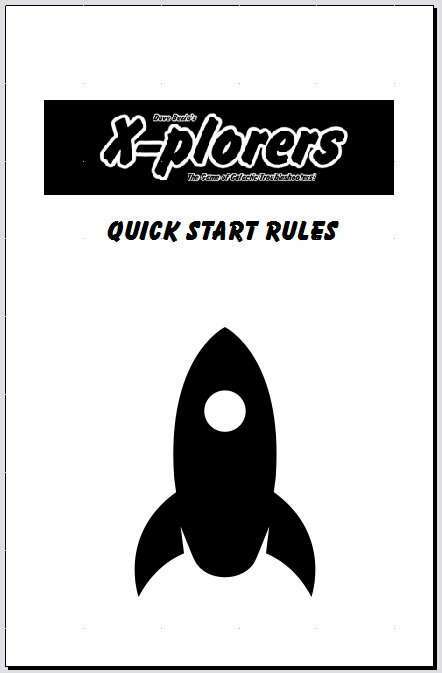 roleplaying game have released a quick start set for Brave Halfling's Xplorers sci-fi rpg. Considering the awesomeness of Yarr! I can't wait to go over the quick start of Xplorers and see the take BD Games has on the system/universe. Both Xplorers and Yarr are based off of Mythmere's Sword & Wizardry White Box (Yarr is technically based on Dagger but Dagger was ... well, you get the idea) and are easy to pick up and run by anyone with knowledge of nearly any edition of the world's oldest fantasy inspired roleplaying game.